For those of us who aren't pro riders that are fortunate enough to have personal soigners, team vehicles and team mechanics to take care of the transportation and functionality of our bikes, the pandemonium of traveling to and from races or competitions can tend to steal some of the focus away from the true task at hand; winning. Whether you're a Cat 4 team-workhorse or a dedicated triathlete, you compete to win, and nothing should hinder that competitive approach. 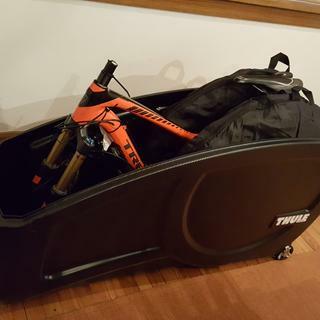 The Thule Round Trip Transition Bike Case is a hard shell premium bike case with an integrated bike work stand that makes traveling with your bike simple. The combination of ABS construction and the aluminum Click-Rail provides optimal protection during transportation, while the integrated wheels make for easy transport by-hand. Nylon wheel bags are included to prevent frame and wheel contact. Where the Thule Round Trip Transition will blow your mind is in its integrated bike stand that doubles as a convenient bike holder and work stand. Tune-up before the race, make adjustments in-between races, and then admire your winning machine after. 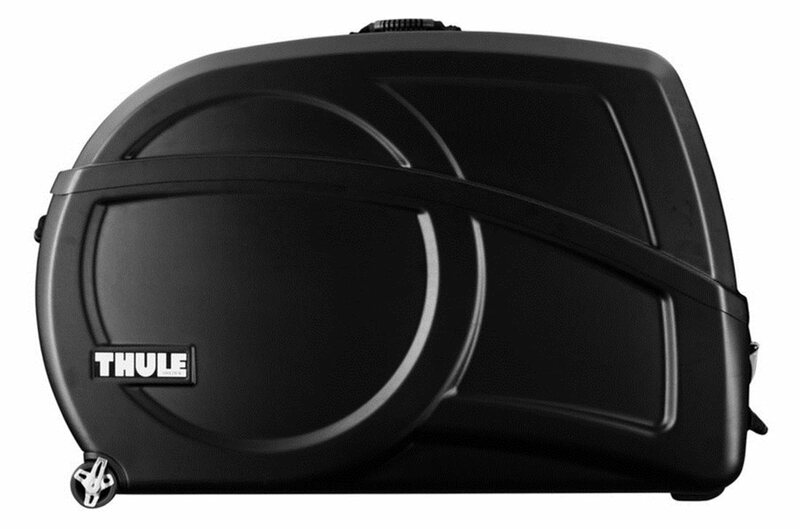 The Thule Round Trip Transition Bike Case makes the often unglamorous travel less demanding, and provides piece of mind knowing you have a reliable work stand to perfect your rig in the moments leading up to the sound of the start gun. First trip to Colorado went with out problem. The case has a some left over room for other things. I was able to put in my helmet, a small tool bag and a full size tire pump and still have room left over. The holding arrangement for the bike frame is clever and fairly stout. The stand is convenient for routine maintenance if you don't already have one. The only draw back is the lack of front wheels. This case with my bike and all the junk was 82lbs. 2014 trek remedy 9, 27.5". 21.5" frame. Needed the fork turned 180 deg to fit, but fit well. Is this allow as a luggage to transport for international flight and what is the total dimensions and the weight? BEST ANSWER: Yes, it comes with two padded wheel bags.